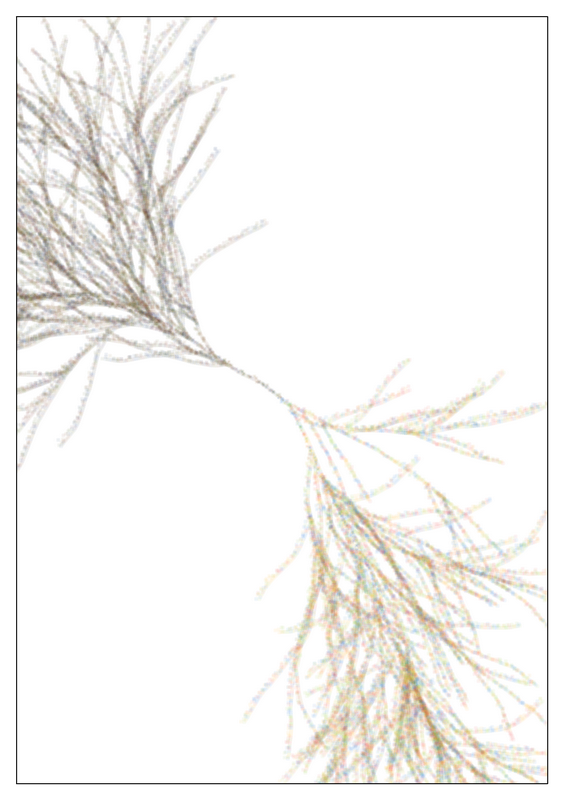 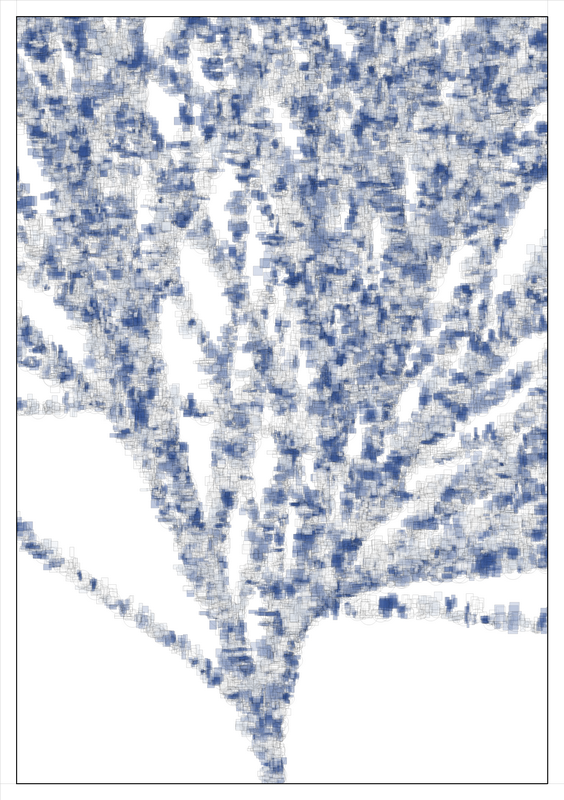 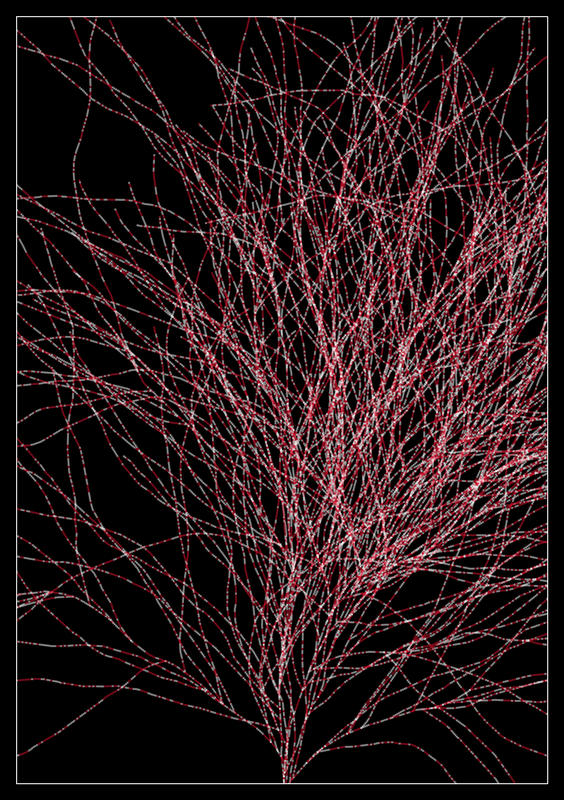 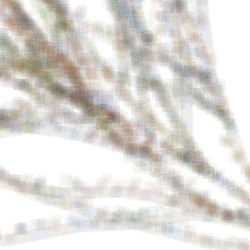 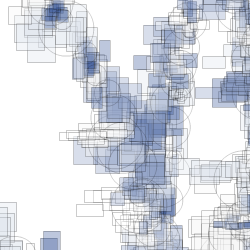 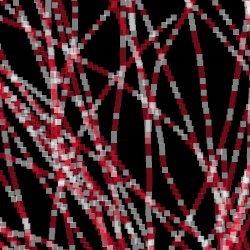 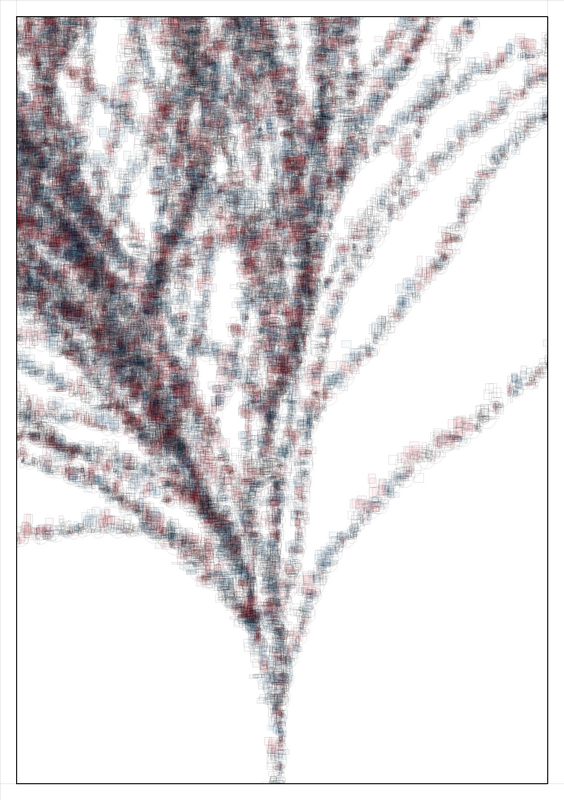 Exploring recursive branching at a low-resolution. 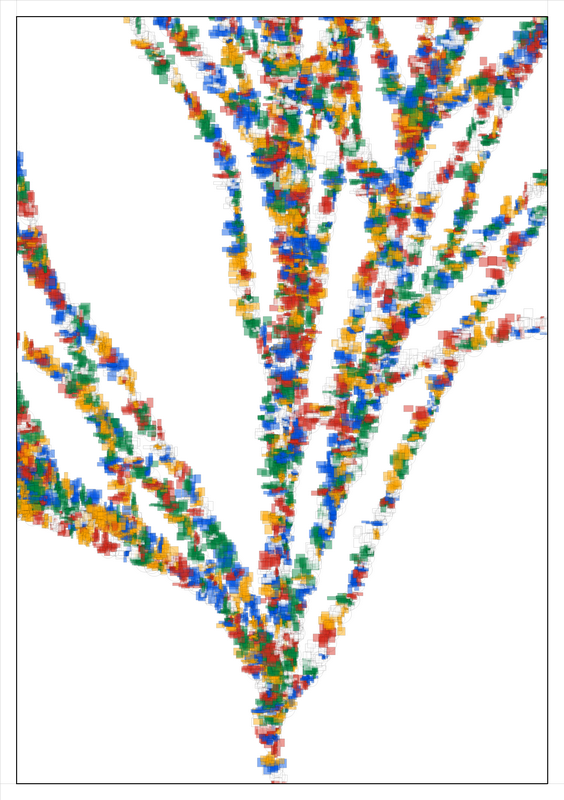 The rendering technique settling on for this series plots thousands of separate boxes along each branch, pulling a random colour from the selected palette. 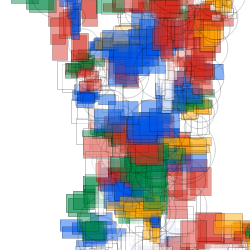 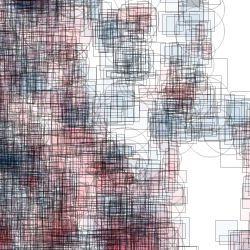 Boxes overlay and their position/size slightly altered with random data.